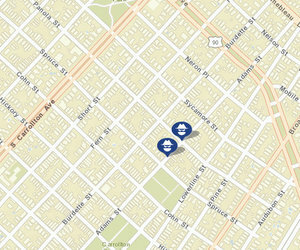 Armed men tried unsuccessfully to carjack one man on Adams Street, and moments later another man’s car was taken in a carjacking around the corner on Panola Street, New Orleans police said. At 10:12 p.m. Wednesday, March 5, a man in his 20s was sitting in his vehicle in the 2000 block of Panola when he was approached by two assailants armed with semi-automatic handguns, according to the initial NOPD report. They took his keys and forced him out of the car, but couldn’t start the vehicle, so they left on foot on Panola Street with his cell phone in hand, the report states. Two minutes later, a man in his 30s inside a car in the 7700 block of Panola was confronted by two assailants with an implied weapon, according to the report in that case. They forced the victim out of the car, a 2006 Nissan Sentra with Louisiana license plate PYD 357, and drove off in it, the report states. Further details were not immediately available in either case. Anyone with information is urged to call the NOPD Second District station at 658-6020 to speak to a detective, or CrimeStoppers at 822-1111 to leave an anonymous tip that could be eligible for a cash reward.